Living... in Pawnee, Ind., where she’s lived all her life. Well, she discovered to her horror that technically she was born in the wealthy neighboring town of Eagleton, Pawnee’s arch-rival, but please don’t spread it around. Pawnee is smack in America’s heartland, and Leslie puts the “heart” in Pawnee. 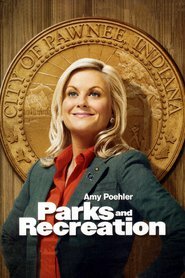 Profession… deputy director of the Pawnee City Department of Parks and Recreation. Leslie takes her position very seriously and does her best to please the citizens of Pawnee with the few resources she’s been given. (Even though the citizens rarely seem grateful.) Since her boss Ron, a staunch libertarian who believes government should do as little as possible, is all too happy to let the department flounder, Leslie works double-time pick up the slack. Interests… politics. Leslie’s had a lifelong love affair with government going back to her youthful days in Model United Nations, Debate Club, Mock Trial, Young Democrats, Young Republicans and Young Independents. Nothing like covering your bases. Leslie also loves food, but not food-food. Her tastes are closer to a 5-year-old’s: whipped cream, waffles, and sugar. Don’t even talk to her about salad, though. Salad is a joke – a disgusting, overrated joke. Personality… cheery, relentless, and undaunted. Leslie is an eternal optimist with a can-do attitude. It’s not that she never gets discouraged, but that she gets off the mat repeatedly and comes back for more. In fact Leslie once cited Hillary Clinton as one of her idols because nobody takes a punch better than Hillary: “She’s the strongest, smartest punching bag in the world.” Leslie might as well have been describing herself. Leslie Knope's popularity ranking on CharacTour is #146 out of 5,000+ characters. See our top-ranked characters and read their profiles.